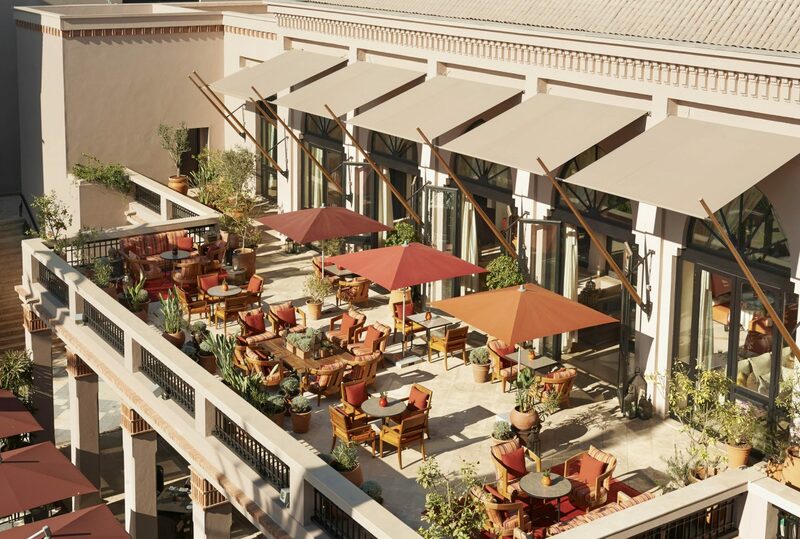 Sitting on the sunny patio at the Four Seasons Resort Marrakech, about to dig into a piping hot, flavourful chicken tagine with olives, peppers, and couscous, a warbled but distinct sound wafts into the air: the Muslim call to prayer. It is beautiful, soft, poetic—a reminder of how easily Morocco’s deep history weaves into its enchanting present. 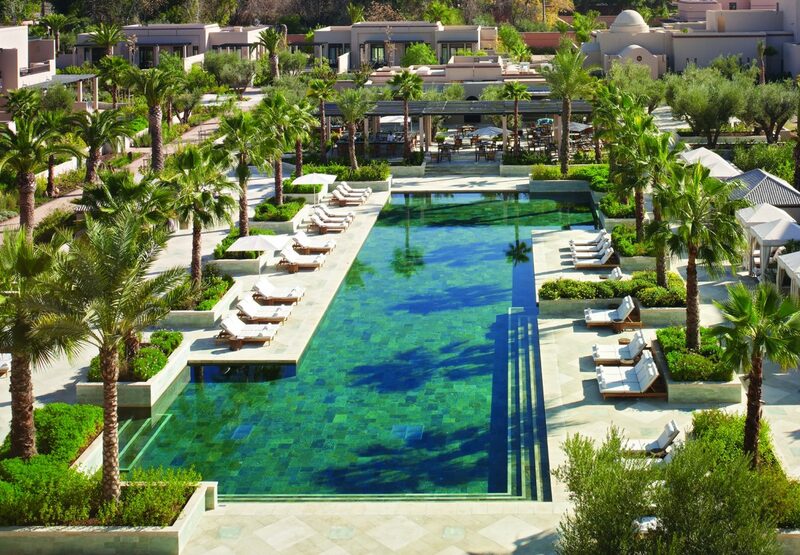 In Marrakech, there is a lot to explore. 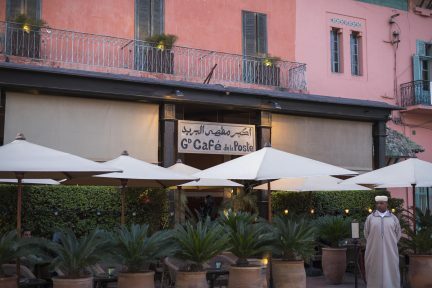 From the famous Medina to the Jardin Majorelle, the city is teeming with stories to tell. Eyes are filled with colours and textures of tile and fabric; nostrils are filled with rich smells of fresh-baked bread and marinated lamb; and ears are filled with sounds of hawkers coaxing passersby inside their shops. It is crazy, it is noisy, it is magical—but it can also be exhausting. And that’s where the Four Seasons comes in. 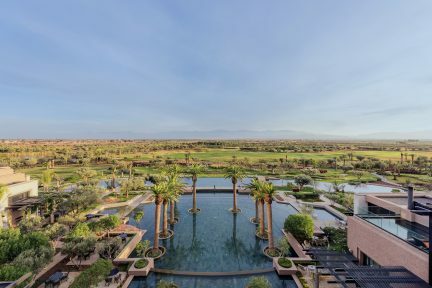 Located at the edge of Marrakech’s New Town (and a short taxi ride from Old Town), this opulent oasis is simply breathtaking. 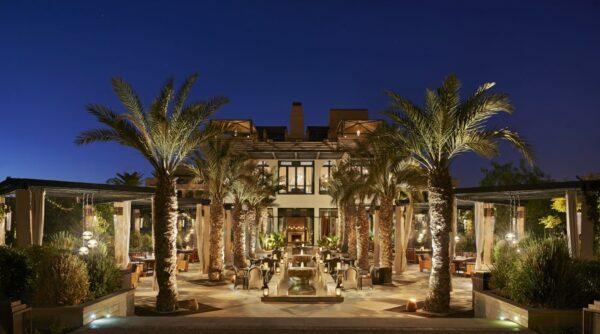 Every design element feels sensitively considered, from the carpet and pillows set up for traditional tea in the lobby, to the trickling water features covered in plants, to the sweetly chirping birds in Inara, the main floor’s restaurant. 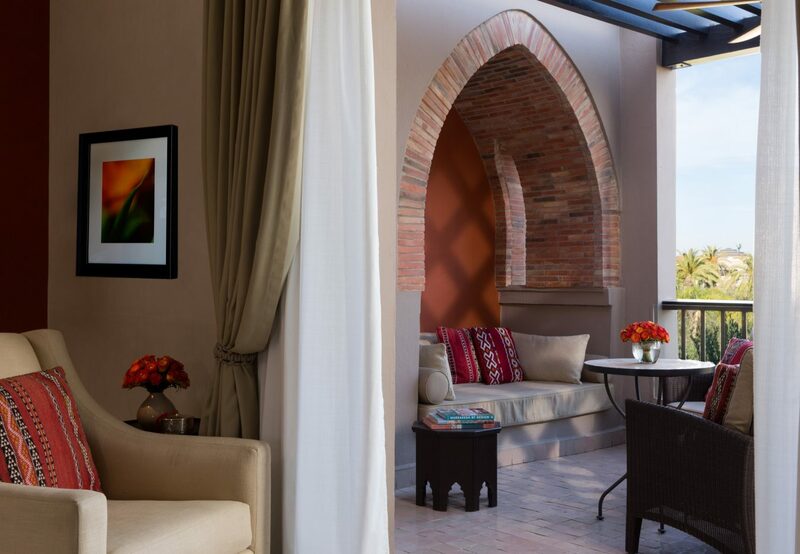 Plush sofas are perfect to recline in after a day of exploring, especially with a glass of Moroccan wine in hand. From the classic curving archways to the delicate hanging lamps that emanate soft orange light, the hallways alone are magical here. But a personal haven exists inside the Garden Patio Room, which has a private outdoor deck fit with lounging chairs and reading nook. 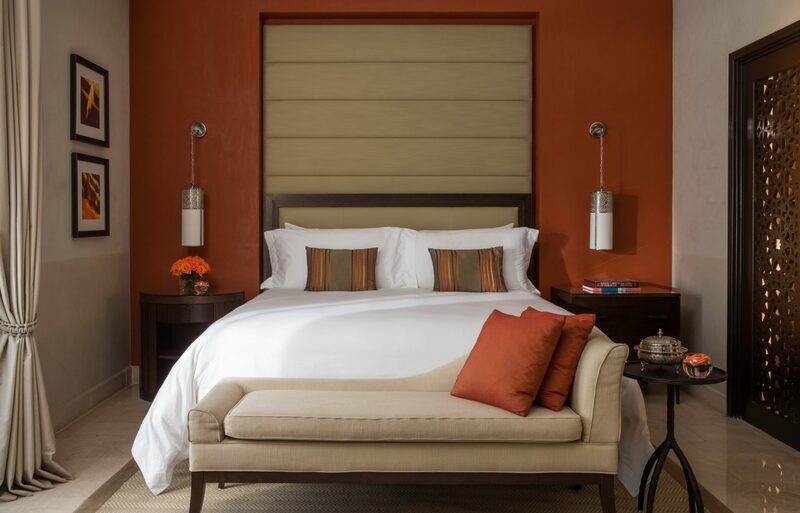 Irresistibly comfortable beds will help shake off that jet lag, and a large marble washroom with his-and-hers sinks makes it easy to spread out the necessities. Orange blossom amenities fill the shower with a juicy floral scent. Breakfast is served at the Italian restaurant Quattro, which has a tranquil setting that overlooks a long pond lined with towering palm trees. It is majestic and stunning, especially when taken in while eating some delicious breakfast potatoes, charcuterie, and Moroccan pastries. Wander the pathways afterwards, taking in the delicate scents of flowers and plants, staring up at date palms and olive trees. If more relaxing is on the itinerary, the resort’s 40-metre adult pool is the perfect place to catch a few rays of sunshine. The desert heat can be unforgiving, but for that, the water is delightfully refreshing. 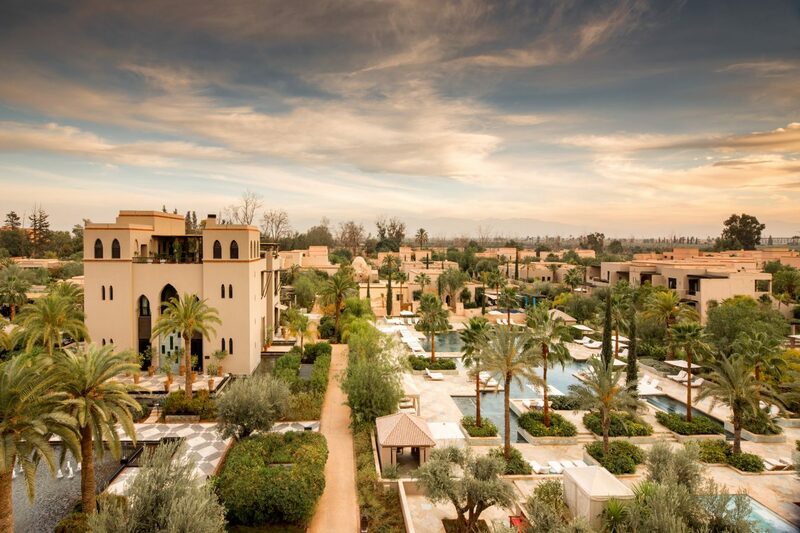 Lunch can be eaten chaise-side or at Azzera, the outdoor restaurant that overlooks the pool and serves delicious dishes including curry and baked fish, all dreamed up by hotel executive chef Thierry Papillier. A glass of rejuvenating juice will help with the necessary hydration. 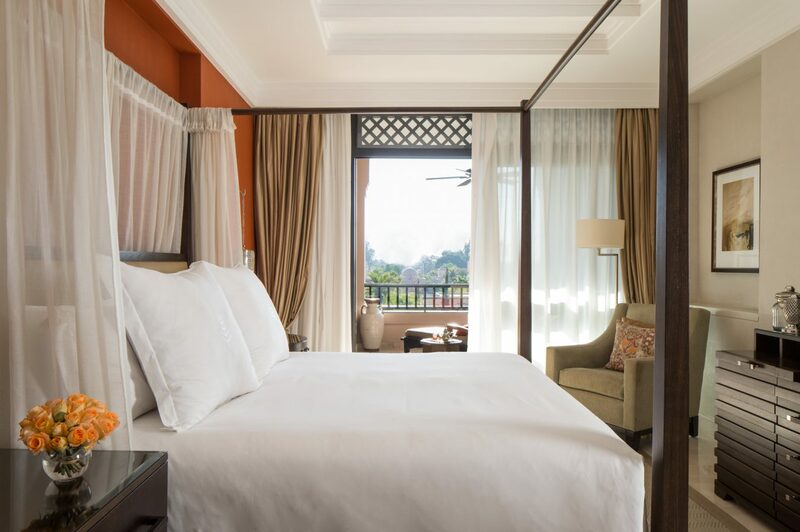 For those looking to do more than laps, the hotel offers yoga classes, and also has a fitness centre and onsite tennis courts. But walking is a great form of exercise in this city, too, and the Four Seasons is well placed in New Town; just a short walk from the staff entrance gate, wanderers will find themselves in the heart of the hustle and bustle. Horns honk, lights flash; simply watching the way that vehicle traffic works here is a sight to be seen. A series of tour packages are available through the hotel as well, including the newly launched Inspirations of Yves Saint Laurent. Tour the iconic Jardin Majorelle, which the late designer purchased and restored, along with Villa Oasis, his former home on the property (which is not otherwise open to the public). 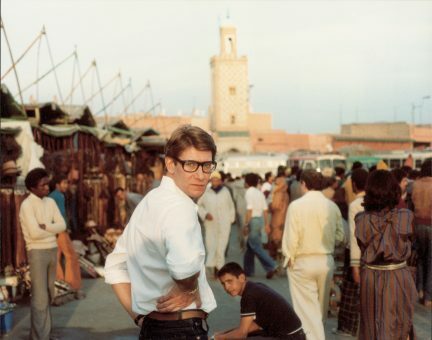 Finally, visit the brand new Musée Yves Saint Laurent Marrakech, a celebration of Saint Laurent’s time in the city. 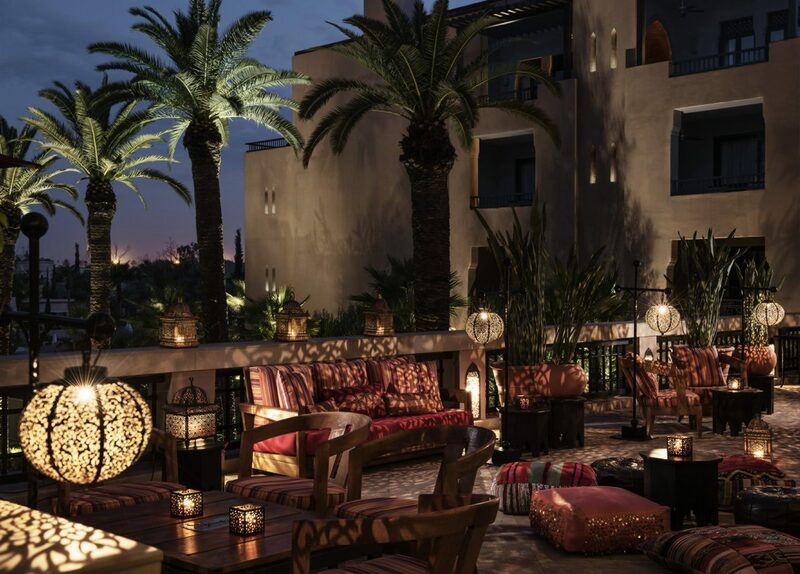 It is all followed by a personalized dinner and Moroccan wine pairings back at the resort. 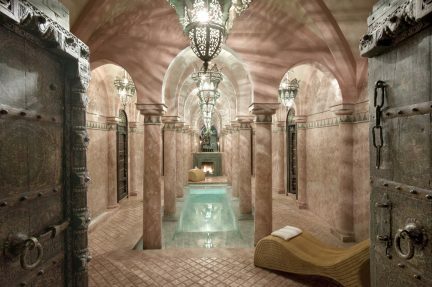 It can be hard to leave the property, with all its comforts, but diving right into the craziness of Marrakech is the best way to fall in love with the city. Its soft pinks and reds are a song, its ornate tiles an echoing chorus. Besides, leaving the hotel during the day makes coming back at night all the more special.